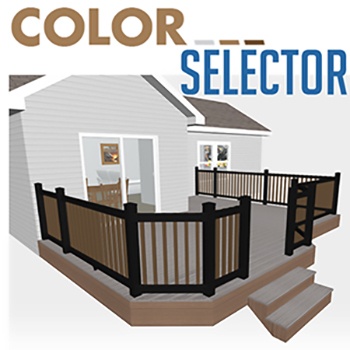 The Vinyl Outlet is Buffalo, NY's #1 deck installation company & vinyl decking company! We carry the highest quality 100% PVC vinyl deck product, which is installed by trained, experienced deck builders with superior craftsmanship. The Vinyl Outlet will custom design and build you the deck of your dreams. We use a product known as VEKA Deck, which makes the best vinyl deck & fencing products on the market, and guarantees a virtually lifetime warranty with their product. We are the only deck installation & vinyl decking company in WNY and Upstate NY licensed to carry VEKA products: VEKA only allows the biggest and best to sell their products, and we have been chosen by VEKA due to our knowledge, experience, and track record as a vinyl company. Don't go with just any deck contractor to install your vinyl deck - choose Buffalo, NY's best: The Vinyl Outlet. VINYL DECKING vs. wood & Composite deck? Although traditional lumber still attracts many home owners, the appeal often fades as quickly as the wood does. Wood may cost less in price in the beginning, but only tends to keep its look for at most 3 years, especially with WNY's weather conditions. Without frequent and necessary maintenance, pressure treated wood decks can splinter, warp or cup—and this can happen quickly without annual sealing and staining for protection. In the long run, wood decks become an expensive and time consuming addition to a home. After a short time, wood decking starts to show its age: the warm wood color fades to a washed-out gray, and moisture in the wood starts to turn into mildew, causing the deck to turn green. A wood deck is also vulnerable to termites, carpenter ants, and other insects. Wood also splinters and warps, leaving it an unsafe environment for family, children and pets. Made of plastic and wood fibers and coated with a composite cap, this decking is more resistant to the elements than traditional wood, and provides added durability, mold and mildew resistance, and a splinter-free surface. A practical choice for discerning homeowners, it comes in a variety of colors and grains, retaining the look and feel of traditional hardwood without the annual sealing and staining needed for protection. Composite decking was created from the wood industry; "composite" is made up of a mixture of recycled wood fibers, dust or flour, and a plastic binder. Composite may last longer than wood, but only by about 2 years. With composite decking being made up of wood fillers, it can still take in moisture; the moisture gets absorbed inside the deck boards, then molds and mildews from the inside out, which is dangerous to children and pets. It's outer plastic "shell" easily fades in color, and can be stained very easily. The Vinyl Outlet has replaced hundreds of composite decks. A common thing we hear is, "Wow, that was a lot of money down the drain." It sounds cheap, and a viable option compared to wood, but composite decking just ends up being a lost investment, just like a wood deck. Vinyl PVC Decking is the only deck that can withstand Buffalo, NY weather and its severe winters, without requiring maintenance, repair, and restaining. Most decking vendors provide a warranty of at most 10-15 years, and only with their most expensive decking. Our VEKAdeck vinyl decking carries a virtually lifetime warranty, even with Western New York's weather. We are confident enough in our vinyl decking and our superior deck builders that your deck will last the lifetime of your house, and stay looking beautiful years down the road. When it comes to a new deck, vinyl might sound like the more costly route, but the lack of maintenance, cleaning, and restaining that come with vinyl versus a wood or composite deck in Buffalo, NY weather make it worth every penny, and is a worthy investment to your yard and home. Our PVC vinyl is made up of 100% pure virgin vinyl with no wood fillers. Moisture has nowhere to go, making it impossible for vinyl decking to mold and mildew. With a virtually maintenance-free vinyl deck you can spend more time in your yard with family and friends, and less time working on your deck in the summer. PVC also doesn't splinter, crack, or peel, so you won't have to worry about your family or houseguests hurting themselves on your deck. PVC vinyl decking is a worry-free lifetime investment to make memories year after year and increase the look and value of your home. When you are making a place for grilling in the summer, eating outdoors, enjoying your yard or pool, and making spring or summer memories, make that place last for your lifetime. A deck is often the crown jewel for new homeowners or people looking to add to their home. It accentuates your home and yard. Choose the best-looking and longest lasting deck for your yard. Choose a vinyl deck from The Vinyl Outlet and contact us for more information and a free estimate.